Nearly 50 Milwaukee Brewers players plus a host of alumni, coaches, front office executives and broadcasters are scheduled to participate in Brewers On Deck, which is set to take place on Sunday, January 25 from 10 a.m. – 5 p.m. at the Wisconsin Center. Advance tickets are $15 for adults and $9 for children 14 and under. Tickets on the day of the event are $20 for adults and $15 for children 14 and under. A portion of the proceeds from Brewers On Deck will benefit Brewers Community Foundation. Tickets may be purchased at the Miller Park ticket office, by calling the Brewers ticket office at 414-902-4000, or online at brewers.com/ondeck. This year the event will feature a community book drive that will help support Next Door’s Books for Kids program. The goal of the Books for Kids campaign is to help all children in Milwaukee’s central city, regardless of their family income or education levels, have books they can call their own. Local author Marla McKenna will help host the event. Fans are encouraged to bring new or gently used children’s books to donate. In appreciation for their contribution, fans who donate a book will receive a free copy of McKenna’s newest publication, “Mom’s Big Catch,” a story based upon events that took place at Miller Park. Once again food donations will be accepted through Hunger Task. Donations can be dropped off at two main entrances to the Wisconsin Center, located at 4th Street and Wisconsin Avenue, and 4th Street and Wells Street. Brewers On Deck will feature a number of activities for the entire family. Autographs and photos from Brewers players, coaches and alumni; interactive games in the Kids Area; Q&A sessions and game shows with Brewers players, coaches and broadcasters; vendor booths with baseball memorabilia; Brewers Community Foundation’s Treasure Hunt, a 50/50 raffle, live auction and many other activities will all be a part of Brewers On Deck. Details regarding autographs include the following: Recipients of “PREMIER” autographs (players to be announced next week) will be chosen through a random selection process. Each fan in attendance will receive one Premier Entry sheet which may be redeemed at the Random Selection area outside the Main Exhibit Hall of the Wisconsin Center District. The Premier Entry sheet will be exchanged for a numbered coupon to be entered into the random selection process for any one of the select Brewers players. Coupon distribution will be available at 8 a.m. the day of the event and will continue up to an hour before each designated autograph session. There is no cost for coupons to enter the random selection process; however, those holding winning coupons must pay $10 at the respective autograph stage to collect their player signature. There will be 250 winners for each of the autograph sessions. The winning ticket numbers will be posted at the designated autograph stage no less than 30 minutes prior to each player’s session. Players and staff not included in the PREMIER autograph list will not use the random selection process. Each of these players will sign 250 autographs at prices ranging from free to $10. A schedule of players, their session times, and distribution info will be posted next week. The autograph opportunities are for signatures on photo cards provided by the team; the Brewers cannot guarantee that any player will sign other memorabilia. For additional information, visit Brewers.com/ondeck. A detailed schedule of all Brewers On Deck events will be released next week. Recipients of “PREMIER” autographs Ryan Braun, Carlos Gomez, Jonathan Lucroy and Bob Uecker will be chosen through a random selection process. Each fan in attendance will receive one Premier Entry card which may be redeemed at the Random Selection area outside the Main Exhibit Hall of the Wisconsin Center. The Premier Entry card will be exchanged for a numbered coupon and entered into the random selection process for any one of the select Brewers players. Coupon distribution will be available at 8 a.m. the day of the event and will continue up to an hour before each designated autograph session. Players and staff not included in the above autograph list will not use the random selection process. Each of those players will sign 250 autographs at prices ranging from free to $10. The autograph opportunities are for signatures on photo cards provided by the team; the Brewers cannot guarantee that any player will sign other memorabilia, and personalization of items is solely up to the discretion of each player (BOLD ITALICS – Premier Autograph). Players who are not listed above will sign free autographs on the Bonus Stage all day long. Please note that cash is the only acceptable form of payment for autographs. The 620 WTMJ Stage will broadcast live from 11 a.m. until 2 p.m. and will include interviews with Brewers players and coaches. New this year, fans are invited to stop by the Social Media Stage for fun and games. Fans can also post their photos from the event to Twitter and/or Instagram using the hashtag #BrewersOnDeck for a chance to win prizes such as a trip down Bernie Brewer’s slide, game tickets and more. For contest rules, visit brewers.com/onDeck. Children are invited to visit the Farm Teams Infield for free batting and hitting clinics scheduled throughout the day. Brewers alumni and players will be on hand for the instructional sessions. Kids can run around the field or try a quick game of ping pong with Brewers players. 10:15 a.m. – Welcome – Brewers television broadcaster Craig Coshun will welcome fans to Brewers On Deck. The winners of the seven T-Shirt Friday designs will be introduced to fans. 11:15 a.m. – Meet the Coaches – Third base coach Ed Sedar will host a Q&A session with Brewers manager Ron Roenicke and his coaching staff. 12:30 p.m. – The Brewlywed Game – Brewers players, coaches, prospects and alumni will participate in a game show to see which pair really knows each other the best. Joe Block will host the show. 2:00 p.m. – Meet the Management and Newest Players – Brewers Chairman and Principal Owner Mark Attanasio, President of Baseball Operations – General Manager Doug Melvin, Vice President – Assistant General Manager Gord Ash will join the newest Brewers acquisitions – Corey Knebel, Adam Lind and Luis Sardinas – in a question and answer session with Brewers fans. The session will be hosted by Brian Anderson. 3:15 p.m. – Call to the Pen – Brewers players, coaches, prospects and alumni will participate in a game show, similar to Pictionary. Joe Block will host the show. Today the Brewers announced the additions of three players to the 40-man roster, a move that comes ahead of today’s deadline to protect those players from the Rule 5 Draft. The Rule 5 Draft takes places each December on the last day of baseball’s annual Winter Meetings. Last year the Brewers protected four players: infielders Hunter Morris and Jason Rogers, and pitchers Kevin Shackelford (since removed) and Brooks Hall. Morris and Hall were hurt for a stretch of time in 2014, though Hall pitched well making up time in the Arizona Fall League following surgery. Jason Rogers was among Milwaukee’s September call-ups in 2014. The Brewers had nearly a full 40-man roster of players to consider for protection (38), including 22 who were eligible for the Rule 5 Draft for the first time. Here are the three prospects who were protected with a little bit more information about each of them. 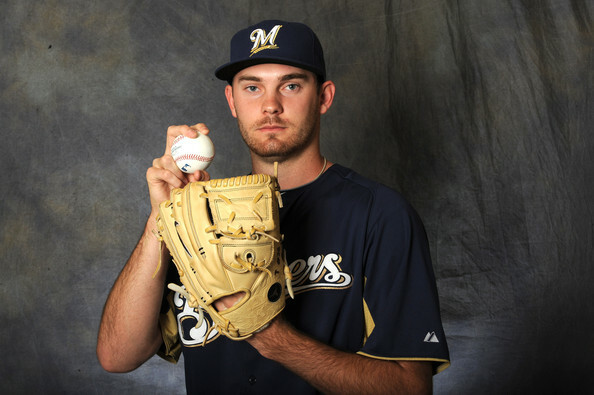 Taylor Jungmann is a big (6’6″) right-handed pitcher who was the team’s top overall draft pick (12th overall) in the 2011 First-Year Player Draft out of the University of Texas. 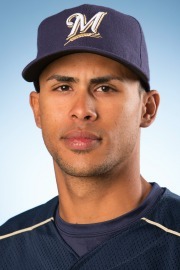 He split time this season between Double-A Huntsville and, after an earned promotion, Triple-A Nashville. He posted a combined 12-10 record in 27 starts and one appearance out of the bullpen right after his promotion to Triple-A. Jungmann, who turns 25 next month, posted a composite 3.57 ERA in 153.2 innings. He struck out 147 hitters overall, 101 of which came in his 101.2 innings at Nashville. Mike Strong, who turned 26 three days ago, earned protection after a long and successful 2014. The southpaw pitcher played for three different teams this year, making all but one regular season appearance with High-A Brevard County before a one-game season-ender with Huntsville (where he pitched 4.0 scoreless in relief) and then participating in the Arizona Fall League as a member of the Glendale Desert Dogs. In the Florida State League, Strong was 2-2 with a 2.50 ERA in 75.2 innings pitched across 30 games (six starts). He struck out 78 batters as a Manatee, saved four games, and posted a 1.044 WHIP. In Arizona, his 1.98 ERA in 11 games, two saves, and 14 punchies in 13.2 innings were a cherry on top of his case to make the 40-man roster. Yadiel Rivera is the third player protected this year and is considered to be nearly ready defensively for the Major Leagues. Before 2014, however, Rivera’s bat was lagging significantly behind. Still just 22 years old, Rivera slashed .258/.309/.374 combined in 2014, with a line of .262/.304/.410 at Double-A following his late-June promotion from High-A. He still needs development at the plate, and Orlando Arcia will be nipping at his heels at shortstop in the system, but with his defensive profile and step forward as a hitter, Rivera deserved protection. With these three additions, the Brewers 40-man roster currently stands at 39 players. Of note is that the Brewers are still considering the addition of a fourth player to the 40-man roster in advance of today’s 11pm CT deadline. That report came via a tweet from beat writer Tom Haudricourt who called GM Doug Melvin for comments on Jungmann, Strong, and Rivera. Just talked to #Brewers GM Doug Melvin. Teams have until 11 p.m. to add players to 40-man roster. David Goforth still being discussed. 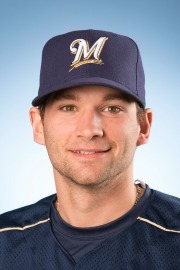 David Goforth was the surprise to me this morning as having been left off of the 40-man roster, but to hear that the Brewers are still considering him is encouraging.